OK, here we go…but before you read on, a bit of background as to why I chose these. When initially sorting the pieces of paper on the lounge floor, (seems ages ago, now), I kept coming back to these more than any, as they were brilliant hundreds in both their execution and importance to the match situation. All bar two had a direct influence on a positive result, (I had also been at the non-striker’s end for a short period of two of them so I am claiming an assist! ); and where the hundreds were match-winning efforts they were clearly more memorable, and part of some crazy games to win given the events of the day; in some cases we met an opposition who were not as spirited as us and that made the win even more satisfying. There will be half-a-dozen people below with mixed emotions at making the top ten but not being number one. Re my earlier comments in Part 1, feel free to offer your own order of all these tons and we can have a chat about it in the bar – I’ll probably be there a lot if my current form continues! The second best hundred to ever to be scored in a defeat in my opinion. 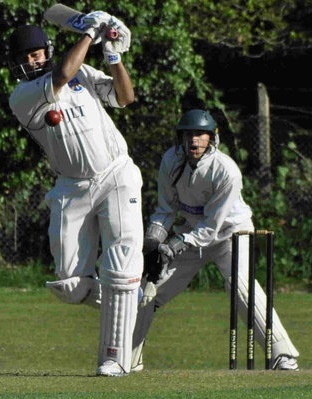 The imbalance of the scorecard shows the level Tim was operating at compared to everyone else; Addiscombe’s wicket-machine Naeem Anjum was reduced to negative tactics, and future captain Scott Benham was launched into – and sometimes over – the nets repeatedly towards the end. We were promoted together the previous summer and served up another good game; sadly we didn’t bowl as well as them and Johnno cracked an equally impressive hundred to anchor their chase. For those who read Part 4, had we won at Burgess Park Gudge’s effort that day would probably have been in the top ten ahead of this one; but this gets my vote as the best Trust League hundred I have ever seen by a Stoker. On a scorching afternoon, (the water supply was off at Old Ruts too and we demolished the Lucozade Sports they brought out at the 20 over mark), we dropped catch after catch in the field and ended up chasing 223. Will P and Jack blunted the openers, allowing Tim to take it on from there. A 48 ball hundred, (out next ball), made a mockery of a decent attack, (Ruts play their STL stuff hard), including a couple that bounced off the houses on one side of the ground and one over from our mate Hafeez, (now at Cheam), contained four pull shots that ended up in the car park on the full. One of the most popular hundreds ever scored and the day where “Go League” was born. Magdalens were a good bunch but a sociable game turned sour for a bit when one of their bats middled a ball from Rowland into Dollers’ gloves standing up, then had the audacity not only to stand there, but to instruct his player umpire to give it not out when we had already huddled expecting the formality of a raised finger or a bat being tucked under the arm. 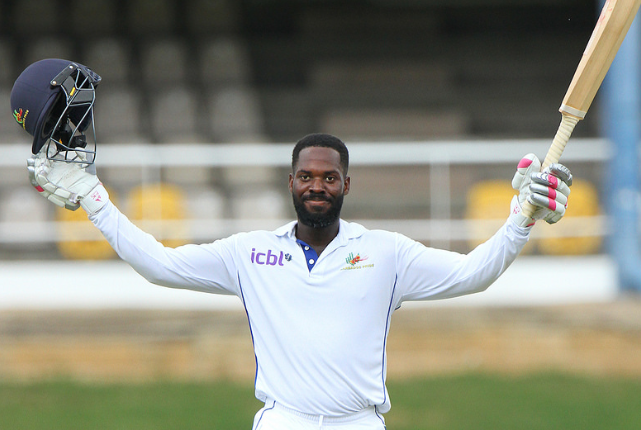 So we had some ‘fun’ going at him for 20 minutes or so with our League bowlers, (Donovan Hall in particular worked up a good pace), before we removed him and returned to the status quo of friendly Sunday cricket. However the time spent with said batsman not scoring any runs then led to them delaying the declaration – they gave us less than an hour plus 20 overs to chase 215, (although their over rate was very good and we would have got 38 back.) We had to juggle the order after Will T hurt his hand, but Rod and Jase added 100, Dollers went berserk and Jase upped his scoring rate at the perfect time to complete a very satisfying win. Things were sorted out in the pub later, but when stumps were drawn this was a day for fist pumps and general over the top, (for a Sunday), celebration! You needed to be aware of the events of the first innings to put this effort into context. The visiting umpiring was dreadful – not biased – but dreadful, and he despatched a number of his own men, (but saved one of theirs who went on to make 150 not out.) We needed a fast start to chase the runs, and Sid provided it, keeping his pads out of the way as a succession of Stokers were also given out on appeal, notably Hiken who would easily have tonned up but for being given having charged at a spinner and was easily half-way down. Frosty and Hoppy did their bit, Sid finally fell to a debatable leg-side catch, prompting a contender for the world record helmet throw, (certainly in terms of distance although it ended up nearer the railway than the pavilion so was easily a foul throw! ), but our batting depth got us home; one of the rare occasions where Pagie choosing to hide himself down the order didn’t attract a murmur or two as he played the role of finisher. Simon’s best hundred. 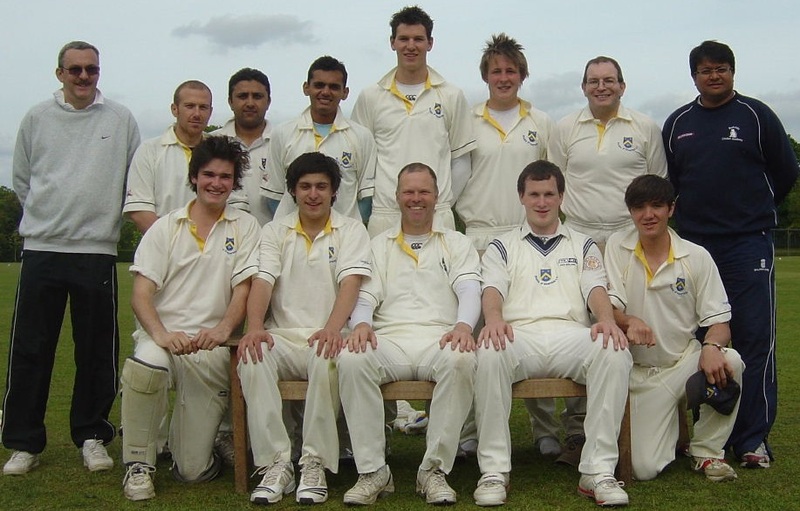 Although a Fuller’s Division 2 century, Wallington were a good side having been promoted to Division One two seasons before but were relegated back due to a sever points deduction. Wallington’s boys liked the chat and Simon, (on the right below), went into his own bubble and did what he did. Watchful at first, he picked up the pace after that and went through the gears, a chop-on a sad way to end. We fielded with ten after Coops, (on the left), had a toys moment having been asked to bat at No.7; but we got the job done, although the final wicket was manufactured after Steve Eggleston winged the ball in and concussed the non-striking batsman during a conference between deliveries. We couldn’t really end with a ‘retired hurt’ so Logie lobbed one up, the striking batsman walked out of his crease and shouldered arms and we carried the other guy off. An eventful day, a marvellous century the highlight. Probably the most brutal century ever seen. 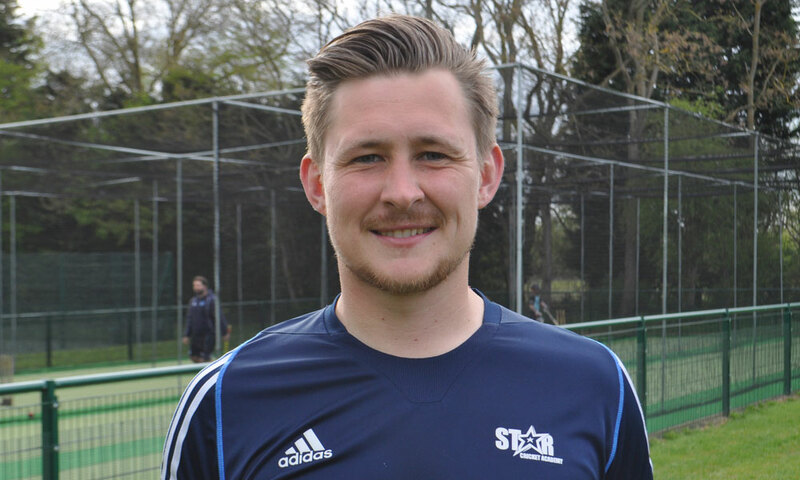 We restricted Oxshott on a generally unresponsive pitch, Toby trousering a five-for as wickets were lost late in their innings in the pursuit of quick runs. That was merely the entrée though as Anthony carted the bowling all over the place. The others just needed to protect their wickets and we would stroll it, and that’s exactly what happened. Anthony was given the benefit of an appeal for a catch at the wicket, (not given by the home umpire), and that attracted a bit of chat which wound him up even more. If Saud liked to take inspiration from comments around the bat, Anthony took it to another level and by the end he was telling the bowlers that they shouldn’t be bowling in certain areas as a succession of sixes went over the petanque area and the clubhouse to complete the win. Our first ever match in the Surrey Championship, (team picture below), and the cornerstone of the win was this effort. Tim scored his runs all around the wicket, accelerated at the right times, pushed his 1s and 2s when others were going hard at the ball, and we racked up a score of over 300 in League cricket for the first time. In reply the opposition had a crack at it for a while, but Pagie’s field placements & bowling changes and Willo’s guile saw us through to a big win. A memorable start to life in Championship cricket after fifteen years in the Fuller’s League, (14 of them in Division 2); the Wey Valley League and the South West London League. Middlesex Prem side Twickenham brought a strong side down for this end of season friendly and whilst we started well in the field with the ball nipping around, in the end our bowlers were left scratching their heads as an unbroken 202 stand lifted the visitors to 255 in 40 overs. The tired pitch nibbled all-day, so Dan took the surface out of the equation and smoked some very good bowlers all over the place. 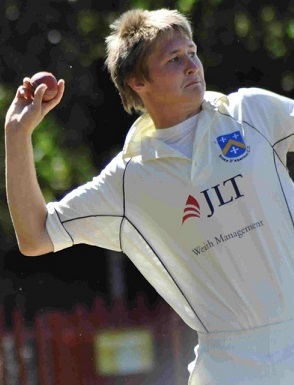 JT provided great support, (a Club record 2nd wicket stand in friendly cricket resulted – http://www.stokecc.co.uk/record-partnerships/), and when he was dismissed shortly before the winning hit, (just as Mum arrived at the ground – we love you Mrs.D but you are one of the biggest Jonahs! ), it was Twickenham who were left wondering what had hit them. This was as unexpected as it was brilliant. Jack’s form in the latter part of the previous season and a pretty non-existent pre-season ahead of this one were not ingredients to what we then saw happen. This ranks second in my list given the quality of the opposition, (the opposition’s 1st XI played three divisions higher at the time and were promoted again that season), the positivity of the play, the running between the wickets and the fact that this turned what was generally thought to be a post-tea exercise of batting practice into a near famous win. With Tim on coaching duties we were a man short in the field all afternoon and were given the run-around by a good Ruts batting line up; although Willo bowled well and Corbs somehow didn’t get a second spell. To chase the best part of 300 required a century, possibly two, or a big partnership. Jack provided the first part of the equation, Hoppy the next. In the end we fell just short but we gave a much higher ranked team a hell of a scare. To say games against Croydon MO were always eventful is an understatement, (see No.7 in the list), and the 2011 game against Old Hamptonians aside, this was one of the most insane games of cricket I have ever played in. The day started badly with half the team thinking we wouldn’t start on time so stocked up on food at the petrol station in Cobham, many setting off left less than an hour before the start with Croydon lunchtime traffic to negotiate. We arrived to find the cover had leaked, so moved from an unplayable pitch to a wood-shavings covered version that wasn’t much different, verging on deadly. Thankfully Sid won the toss and we had what ‘use’ of the ‘pitch’ there was. We started badly, it got worse when Tim ran Anthony out, and didn’t get much better as Gudge was fired out having middled one. Jack and Jake hung around for a bit but Tim had seen enough and decided it was time to play the game his way. Pitch taken out of the equation, change bowling milked to the full, when he was out for 107, this was out of 147 scored to that point. It was one of those days where you could easily say a player was playing a different game to anyone else. Seeing that as a blueprint for success Croydon MO’s players adopted the same approach after tea and initially it worked for them too – 53-0, then 70-1 in no time with Jake having broken down to add to the bowling conundrum. Thankfully we had options and we gradually got a foothold into the game. The opposition panicked, lost wickets with alarming regularity and we got the job done with an over to spare; Hoppy very relieved at not having to bowl the last over when, having hit Shani on the elbow off successive length balls, I bowled him with the next one with his head in the clouds as he tried to get everything out of the way. This match had pretty much everything, Drew earlier having to eject one of theirs from the attack for chucking – we disagree with that assessment, Drew, it was baseball pitching! 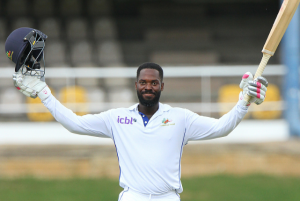 – and the same player needed restraint by his own team when his batting effort came to an end later in the day, playing back to a straight one that rolled. All of this would not have been possible without, in my view, the greatest hundred I have ever seen by a Stoker…so far. Not the highest score in the list, but for me the one that had most of Ferriday and Wilson’s methodology. So that’s it. I hope you’ve enjoyed my burble and if you’re in the list above I hope you haven’t got the hump about where you’ve been ranked. As mentioned in part one, there is no science to this, a hundred is a hundred and those lower down the list are not bad 100s. So what’s missing? Well, there are no T20 hundreds on the board, (yet), there are a few people on the 100s board who haven’t made a ton in front of me; and many more of you who have yet to score a century for Stoke at all.